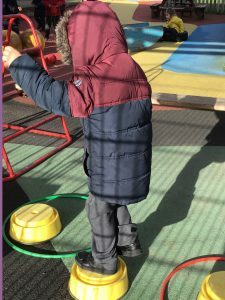 Feeling comfortable and confident in our abilities and ourselves makes for great autonomy in the classroom and consequent learning. 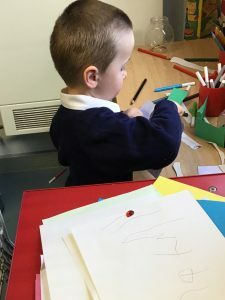 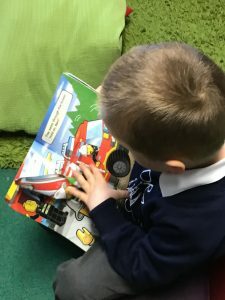 In nursery, this week, we noticed how Zoe and Samuel have grown in their capacity to explore the classroom in a more meaningful and productive way; becoming involved in new activities and trying new skills. 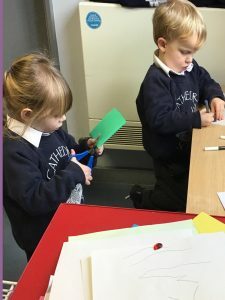 Both showed an independent interest in different tasks without being led by a friend or an adult and seemed genuinely proud of their efforts .